Extras: Visalia 4″ Monel stirrups, sterling string conchos. Named after the legendary artist and buckaroo. This is probably the most artistically pleasing swell fork tree of all. 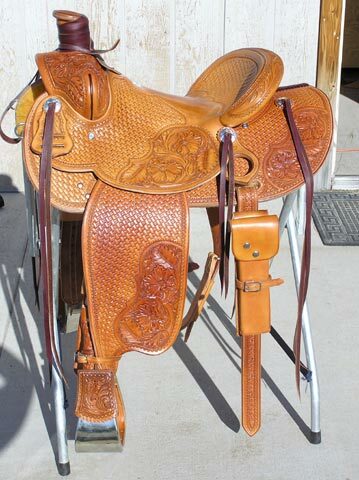 Makes up into a real cowboy saddle. With the horn and cantle of your choice, this saddle will give you the advantage on any waspy pony on a cold morning.